Oftentimes mainstream media would have us believe that obstacle racing is a sport fraught with danger. I would counter with the most dangerous aspect of being an obstacle racer is not threat of injury, but the fact that we are awesome – awesome in our approach to life, in our quest to become stronger, faster, fitter, and in our accomplishments on the course. There are lot of things of which we can be proud and we often display that through social media – SOMETIMES TOO MUCH. One of the major criticisms of obstacle racers outside the OCR community (and sometimes within) is that there appears to be a “Look at me” epidemic. We all know that euphoric feeling from conquering a dastardly obstacle, completing a particularly tough race, or turning in a great performance,and it is natural to share those feelings. Those posts in moderation can hardly be faulted. Self-respect and being proud of one’s personal progress and achievements are perfectly acceptable characteristics, unless they lead to a state of pridefulness. Unfortunately, the path to pridefulness is short, well-paved, and surrounded by cheers and affirmation from others. It’s an intriguing path that is easy to follow, even for people who generally approach life with a measure of humility. I have been down that path many times and it is a pleasant stroll… until you reach the end and discover the emptiness of personal vanity. 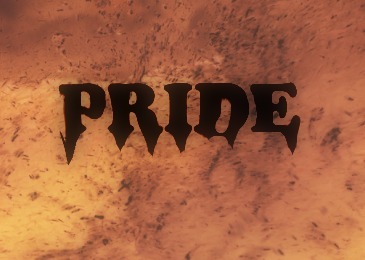 I was recently introduced to the term “pride melting” and was immediately intrigued by the concept. It is a stripping away or elimination of self-importance and personal superiority. Pride melting only occurs when life focus turns away from oneself and is placed on others. Instances of “Look at me!” are replaced with “Yay for you!” and “How can I bring happiness to your life?” Pride melting is not equivalent to being humbled when you encounter an athlete better than you, experience failure on a course, or are rebuked by others. Those examples still involve a focus on oneself and can leave a bitter aftertaste. It is also not the same as false modesty, which is still inward-focused and merely an attempt to avoid appearing prideful. Pride melting is a much more satisfying act that doesn’t require failure or chastisement, but happens naturally when you consciously put others’ needs and feelings before your own. A prideful nature must be fed constantly with thoughts, and words, and actions that confirm one’s value. Those undergoing pride-melting are supplied with an endless cache of opportunity to serve others and savor an everlasting taste of fulfillment. Who are the OCR people in your life who avoid pridefulness and live simply to bring joy to others? More stuff like this can be found at OnMyWayToSparta’s Facebook, Twitter, and Instagram accounts.